FeedBurner is by the primary mode of RSS feed delivery for websites and blogs. htpcBeginner is no different and our posts are delivered right to your Inbox or Reader through FeedBurner. In this post, let us look at a few FeedBurner tweaks to spruce up your feed delivery and also make the best out of your RSS feeds. Recently, we showed you how to get FeedBurner subscriber count using PHP, which you can then display as simple text or record to a database. This post will focus on a different aspect but in general will require you to edit your website or blog's configuration files. You may also need access to your .htaccess file for some of the FeedBurner tweaks. 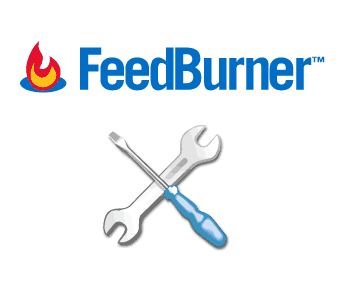 Without further delay, let us start tweaking your RSS feed delivery through FeedBurner. Now that we know how to access the WordPress feeds let us start implementing the FeedBurner tweaks. If you have not setup FeedBurner for your blog, head over to FeedBurner's Website to set it up. Note that Apache's redirect module needs to be enabled. Also, do not forget to change http://feeds.feedburner.com/htpcBeginner to your FeedBurner feed link. Restart your Apache web server, and all your feed links should now go to FeedBurner automatically. If you are hosting with a service provider then you will have to save the .htaccess file and wait for the changes to be applied. This is one of favorite FeedBurner tweaks. FeedBurner content by itself looks dull. You can spruce it up by adding a featured image, which may also attract more visitors. In order to achieve this, you will have to edit functions.php located in your theme folder (/wp-content/themes/themename). Add the following code block to it. This should now take the set featured image of each post and add it as featured image to its RSS feed content. The cat=-123 part excludes category id 123 from being included in the feed. You may then use this feed link to setup your FeedBurner feed. If your FeedBurner is already setup then you may edit the source feed and provide the new feed from above. If you prefer not to mess with FeedBurner you may simply add the following code to your functions.php to achieve the same result. WordPress will not filter out category ids 123 and 124 from the feed output. You may then use any of the above feed links setup specific FeedBurner feeds. Check out the WordPress documentation to know more about WordPress Feeds. To achieve this, all you have to do is place your favicon (favicon.ico) in the root folder of your blog. One of the most important FeedBurner tweaks you should implement is protecting your feed content from RSS scrappers that steal and autopost your content on their sites. 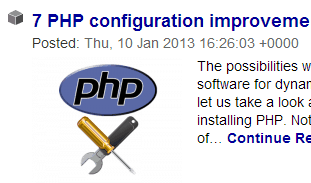 There are several WordPress plugins available to address this. If you are using Yoast's WordPress SEO plugin, you can go to SEO->RSS and add this following code for “Content to put after each post:”. HTML is allowed and you may format the above line as you wish. The result is a line like the one below will be automatically added below each feed content. While this does not stop scrappers form scrapping your content at least you have a backlink pointing back to your site. You can get a bit more creative here by adding affiliate links to generate some income as well (as shown in the example below). With Google killing Adsense for feeds, this could be one way you can generate much needed revenue. However, abusing this may drive readers away. Now that we we have implemented the FeedBurner tweaks, you may be wondering why the changes have not appeared yet on your feed. FeedBurner feeds take about an hour to update feed cache. If you cannot wait you may go to the troubleshooting page for your feed, scroll down, and click on the “Resync Now” button to clear cache and update your feed content. Go ahead, implement the FeedBurner tweaks and spruce up your feed delivery. How to block Fire TV updates (unrooted)?